The parades are over, our community service hours completed. It is another holiday down, marked off of our calendar, checked off of our list. We have reflected on our history, sat down in front of the television and watched the Eyes on the Prize series. We attended a prayer breakfast or a special service in honor of him. Or, we have marched, joined hands or linked arms and sang a few verses of “We shall overcome.” We’ve capitalized on it, commercialized it, honored him through memorabilia: t- shirts, buttons, postage stamps. We have dreamed his dream for the holiday; now back to work, back to reality. But, his dream did not come because he was weary and laid his head down to rest. The dream was a gift given by God and he opened his eyes to receive it. The Reverend Dr. Martin Luther King Jr.’s dream was and remains a vision; it is a sign, a glimpse of the kingdom of God on earth. Will we ever see it and how did he get there? I assure you that it was not the protests that led him there. He did not march up the mountain. He arrived there on the wings of prayer, through conversation with God, because a personal relationship with Love. King’s prayer life is what sustained him. 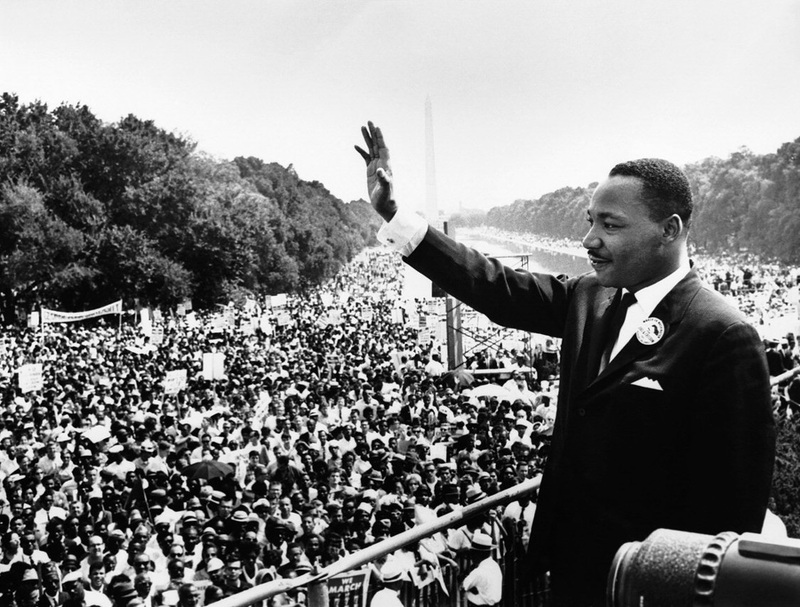 He was able to organize peaceful protests, sit- ins and boycotts because of his view from the mountaintop. How do we get to the mountaintop? One prayer of faith at a time as “we walk by faith and not by sight” (Second Corinthians 5.7). Will you pray with him, see as he sees with the eyes of faith for children not judged by the color of their skin and in so doing, get to the mountaintop? What a view!